Jad Debs is a business lawyer who works closely with sole proprietors and small and medium sized businesses, inside and outside of the technology and professional services sectors. He has a particular interest in startup and micro businesses and excels in in the role of virtual general counsel. Jad also practices in the complementary area of wills, estates and trusts, with an emphasis on probate, estate administration and the planning issues faced by millennials, boomers and business owners. In addition, Jad can speak to the following subjects with varying degrees of knowledge but consistent amounts of passion: Ontario craft beers, Swedish automobiles, and classic literature. 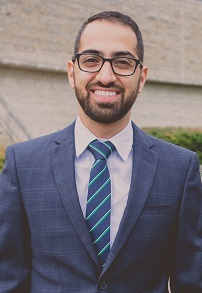 Jad has both private practice and in-house legal experience, having worked at both a national and an international full service law firm, as well as in-house with a North American vehicle manufacturer. In addition, Jad worked with and later headed a pro bono initiative based in Halifax that provides wills, powers of attorney, and health care directives at no cost to low-income seniors. Prior to his career in law, Jad operated a copy-editing business that catered to the needs of international university students. He also worked in the federal government as a researcher, writer and investigator. Jad is fluent in English and has conversational ability in French and Arabic (Lebanese and Egyptian dialects).